This rotator is indented to work with all our magnetic loops antennas, Buddy-Pole™ and similar lightweight directional antennas. It can be mounted using a camera type tripod or regular antenna tripods such as the Buddy-Pole™ tripod. It will work from 9-12 VDC or an internal battery. This controller is intended to remotely tune and rotate, using the AR-1 ANTENNA ROTOR, all our magnetic loop antennas. It also replaces the existing HG-1 remote tuner controller. It will work from 9-12 VDC or an internal battery. 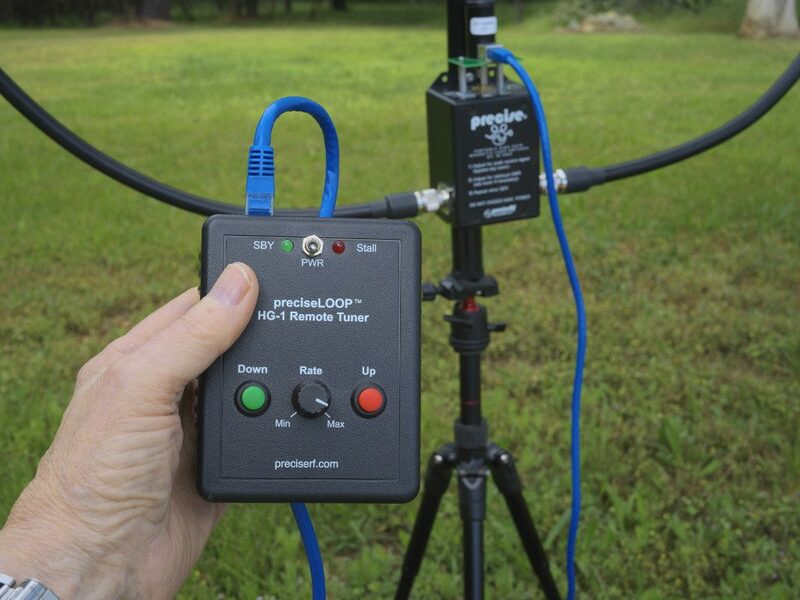 It is a small lightweight universal feed-line matching manual tuner for those using magnetic loop antennas without an automatic antenna tuner. 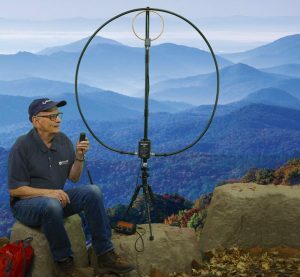 It is intended for permanent deployment of a magnetic loop antenna in the outdoor environment, It uses the LMR600 radiation loop which is identical to our HG-1 magnetic loop antennas. 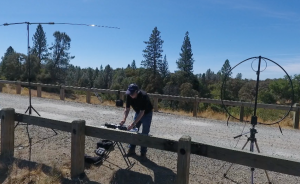 It will tune 40 through 10-meter ham bands at 45W PEP max and optionally, 80-60 meter ham bands at 10W PEP. While not an antenna product, it is useful for SWR, impedance and QRP measurements, for dedicated antenna experimenters, enthusiasts and home-brew measurement applications. It is a major upgrade to our existing DPM6000 Digital Power Meter. Stay tuned. We intend to announce all these products as a product line at once mid May this spring. The PreciseLOOP antennas are for Receive and Transmit use. 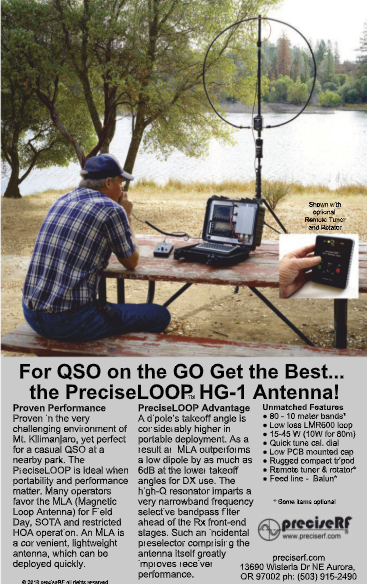 The new PreciseLOOP HG-1 is a high gain Magnetic Loop Antenna (MLA). It can be deployed quickly and is ideal for use in places where HOA restrictions make full size wire antennas impossible, or where there is not enough room to erect a conventional antenna. When designed and constructed properly, an MLA can perform as well or even better than a dipole antenna.